In the past, when I have been hurt by someone I've trusted, I've gotten scared. My tendency is to hole up in a castle, pull up the drawbridge, and hide in the uppermost tower. Protection has been the ultimate goal. When someone new or even old has approached the castle's gate, I've turned them away. It's simple... if no one can get past the gate, then no one can attack from the inside. For what I've found is that no one can hurt you quite as much as someone you allow into your innermost heart. So, naturally, if I just keep the archers at the castle wall, then I'm safe. Sometimes I'll even come to the wall myself. I'll call over the top and ask for the secret password. And when they call it back to me, I'll ask them to complete a test. And then another. And then another. More often than not, they'll eventually leave. Not because they don't want inside, not because they don't care. But because they simply have come to the understanding that they will never pass enough tests for me to let go of my fears. It takes someone dedicated to wait through all those tests. Maybe you understand this. Maybe you do it, too. And maybe it's true that we allow those we love and trust the most to hurt us the deepest. But I can think of no sadder solution than to hole up in our towers and refuse entrance to anyone. To deny ourselves the pleasure of relationship because we fear so deeply the pain of betrayal. Towers are safe. But, towers are awfully lonely. Maybe it's time to come down from ours. 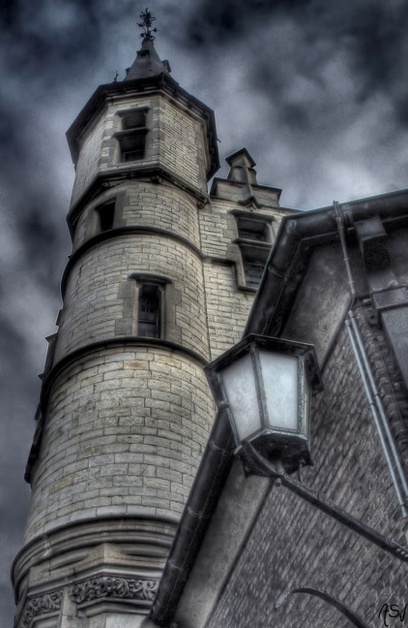 I want to hide in a tower right now! But I know that it is not where I want to be. But oh, I am tired of hurting!!! Becky, when I get home, I want to see if I still have the sermon notes from the message that inspired my blog on Sunday. There was a section of notes on this... related more to forgiveness than trust, but I definitely think the two are related. In short, the tower is not a bad place. It has its purpose, and I think it's absolutely okay and normal and, even healthy?, to need to retreat there as a means of self-protection every once in awhile. But I think that the important thing about the tower is that it's protection "for a time." But that eventually, we really really have to come out... we can stay there while we lick our wounds and heal up, but we can't live there. We aren't meant to live there, and the tower is never meant to be our status quo.